Summers in upstate NY means going blueberry picking, and our whole family loves fresh blueberries. I freeze some of them…or at least the ones I can manage to save before we eat them all! 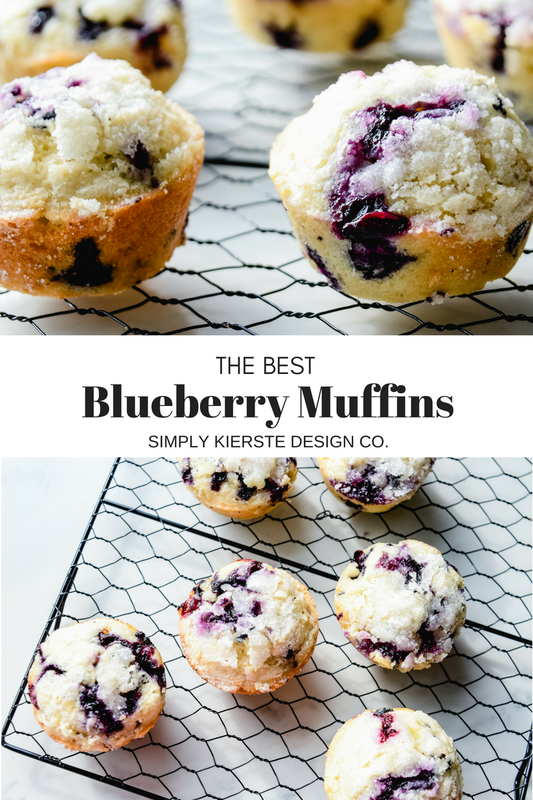 There are so many yummy recipes using fresh blueberries, including the BEST Blueberry Muffins! 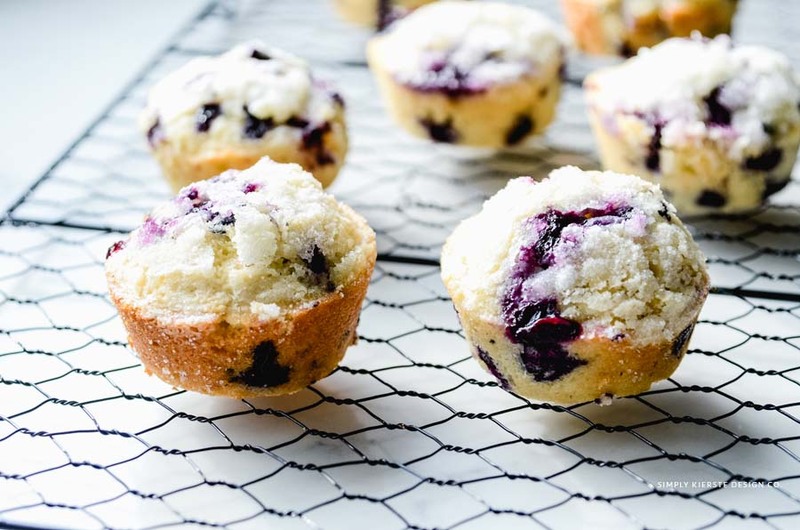 Nothing beats fresh blueberry muffins right out of the oven, piping hot, and melting in your mouth when you eat them. 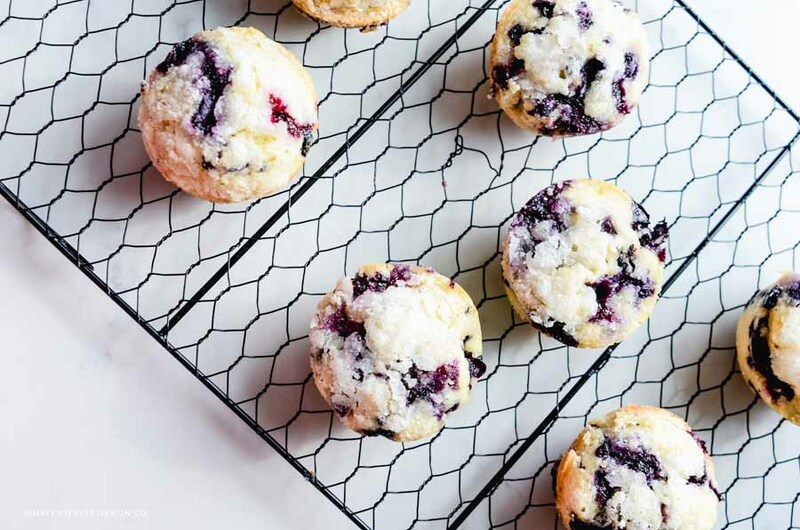 There’s a sugar crust on the top of each muffin, and the combination of the crunchy top and soft middle with the juicy berries is delightful. Like you could die and be happy, they’re so good! They’re perfect for breakfast, of course, but don’t forget lunch, dinner, snacks, and even school lunches! 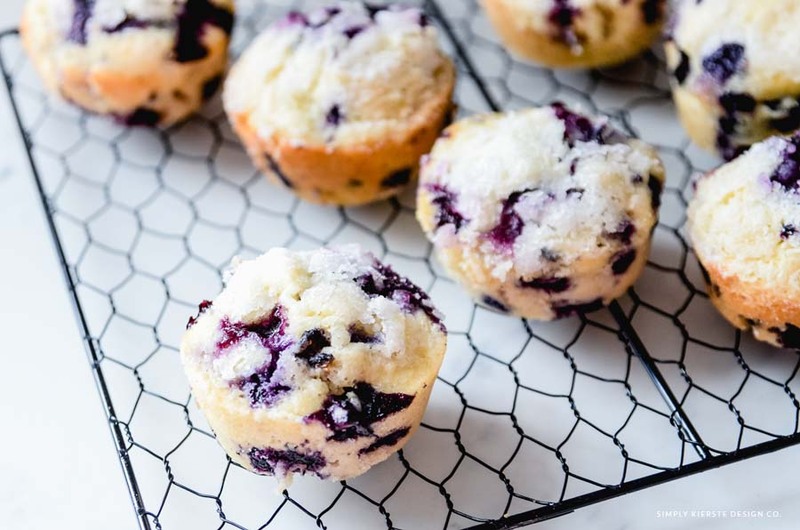 Basically, anytime is the perfect time for these blueberry muffins! There’s sour cream in the recipe, which is really the secret ingredient that makes them so good. If you can use fresh berries, that’s best, but you can use frozen if they’re not available. Just thaw the berries, rinse really well, and pat dry–that will help the batter to not turn green when you mix them in. Fill muffin cups 2/3 full, then sprinkle a teaspoon of sugar on top of each one.